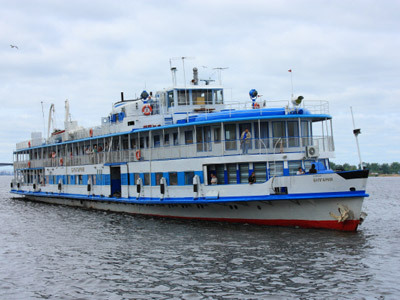 The majority of children, up to 50 of them, onboard the “Bulgaria” tourist ship had gathered in a play area on deck when the vessel sank in Volga River. Those who survived have been sharing their tragic experiences. ­The children reportedly found themselves locked in the room, toward the rear of the cruiser, with no chance to jump off the pleasure boat without the help of adults. 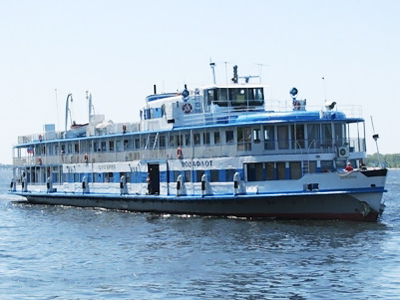 The head of the press office of Tatarstan’s Ministry of Emergency situations, Marat Rakhmatullin, was quoted as saying that up to 50 children had reportedly gathered together in the music room onboard the Bulgaria when the pleasure boat went down. Bodies of six children have been recovered from “Bulgaria”, stated Lilia Khazieva, press-secretary of the Udmurt search and rescue team. 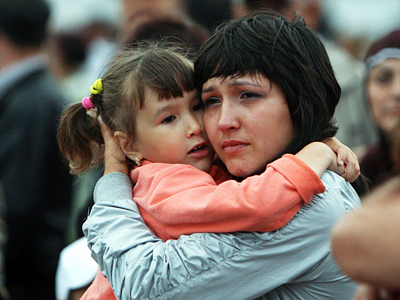 According to Khazieva, there was a girl aged 4 or 5 among them, while others were 11 or 12. “The majority of the deceased are girls,” said Khazieva. She explained that divers went down to the spot where the music room is believed to be located, and where the majority of children had gathered when the tragedy happened. “Unfortunately divers had to go deeper, and it is difficult to access the room because the vessel lurched,” she added. Diving operations will continue throughout the night; new information about the children is expected in the morning. The divers said they discovered the music room with 30 or 40 bodies of children inside, but they could not get there to remove the bodies due to underwater currents. 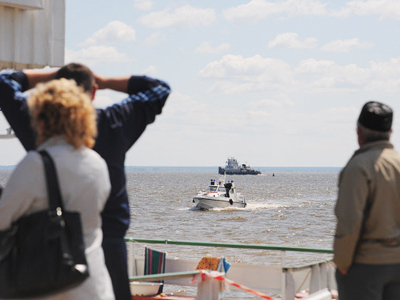 It will be possible to recover the bodies when two ships sent from two cities along the Volga River, Volgograd and Nizhny Novgorod, arrive at the scene of the accident and lift the sunken ship to the surface. The Bulgaria is believed to have had over 200 people on board and was sailing from the town of Bolgar to the Tatar capital, Kazan. There were mostly families with children on the tourist boat, but at least 52 of the passengers were under 18 years of age. 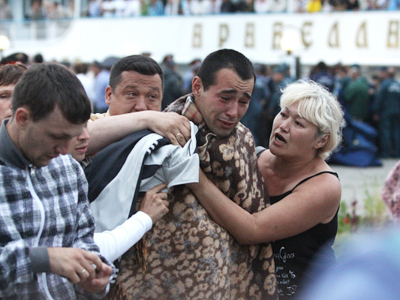 One of the couples that survived Sunday’s disaster told “Russia 24” news channel that their little daughter had drowned but managed to save their lives. Natalia was trying to hold her daughter up to the last minute, but when the water was inside the boat, she finally lost her girl. 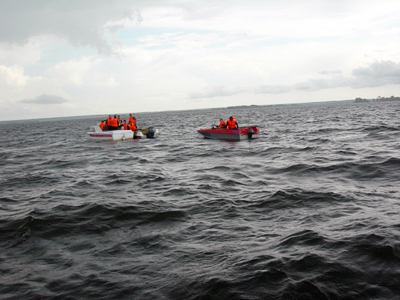 There are few children among the rescued passengers. One of them, however, is a five-year-old boy Adel whose mother and grandmother drowned while he managed to “grab somebody’s hand and come up”. The details of Adel’s survival came out later. A man pushed the child onto a life raft. The man also managed to rescue a woman but failed to save his own wife who was five months pregnant. Another blood-chilling story is reminiscent of the Titanic tragedy. A father managed to jump off the boat together with his little son, but failed to hold onto him in the cold water for long. When his hands became numb, his son drowned. The man was rescued but lost his whole family on board the pleasure ship, including his pregnant wife who had rushed to their cabin to take personal belongings and never returned. According to the official list of passengers onboard the Bulgaria, 36 children had exactly the same dates of birth. The mystery was later explained by a press officer for the Emergencies Ministry who said that they simply did not have their passports when their travel vouchers were issued. On Monday, when the ministry issued an updated list of passengers onboard the Bulgaria, the list contained 199 surnames, including 59 children, 36 of whom had the same birthdate: 30.12.1999. Among them was also a baby, born less than a month ago.